When it comes to burgers, everyone has a favorite. Every great burger starts with exceptional quality beef and care. 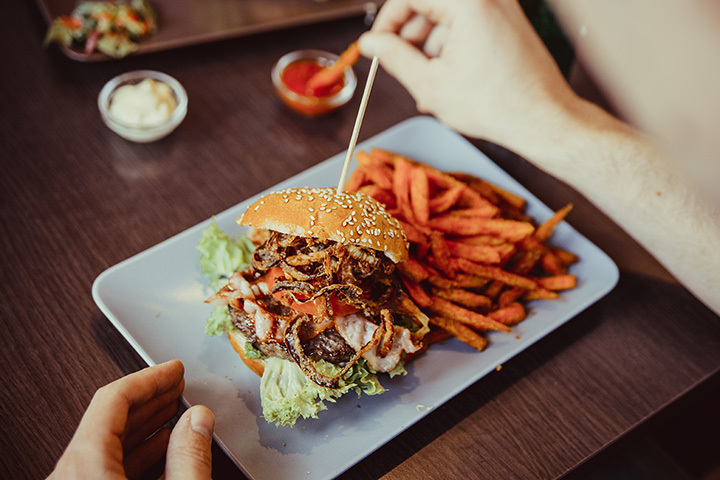 Not any restaurant can make the perfect mouthwatering burger, but the chefs at Maryland’s top-notch burger joints have mastered the craft. Here are our 10 favorites. Head here for a wide variety of meat to be used for your burger. You can try lamb, Kobe, black bean, angus, and more. Kooper’s has received national recognition for their burgers so if you are in Baltimore, you definitely want to stop by. With the option to build your own, and even if you chose to do so, it is sure to taste delicious. Have you tried a wild game burger before? You can here. Abbey’s has a location in Baltimore and Ocean City so you can try something new in town or at the beach. You can also try something like their cherry-wood smoked angus burger, spicy Korean duck burger, or simply build your own. There is a wide variety to choose from so you are likely to be in burger heaven. They serve poutine here. Never heard of it? Once you try it, you have to go back for more. This is food, Quebec-style. It’s French fries with gravy and melted cheese on top—yum. Plus, their burgers have all that natural goodness that you really cannot get from fast food or your own backyard grill. You can make your own burger using a long list of toppings when you visit this local hot spot. Throw on some blue cheese, mushrooms, and avocado for something unique or stick with the classics like bacon and cheddar. For something unique, here’s a tip—they have adult milkshakes. Yep, that means that your banana rum shake actually has rum in it. Now that’s a fun alternative to meeting your friends at the local bar. This place is old school goodness. Super high burgers with multiple patties, greasy fries and an affordable menu make Bmore a hip place to grab a burger. It is small and you are probably going to take it to go, but don’t miss this local favorite. Also, they do have pit beef so if you want to ditch the bun, you can do that too. Fresh, organic ingredients are used in all their dishes. This is a farm to table experience for those who want local ingredients in the food that they eat. When you order a burger, you know that you are not eating beef shipped in from the middle of the country. This beef is grown right here in Maryland and you can taste the difference. Even the cheese topping the burger will be from a local farm. There is nothing quite like farm to table, especially when sinking your teeth into a juicy burger. Come try your burgers in a place with tropical flair. The owners have made a vacation spot out of a burger joint so you are guaranteed to have a bit of fun with your burger. Everything here is classic, not fancy. It’s the way you remember burger and shake joints from when you were a kid. Nostalgia with a little vacation fun make this a must visit spot. This is a burger haven for those living in Annapolis or visiting the State House during the legislative session. It is in a shopping center off Forest Drive so if you want a burger, don't grab something down town. Instead make the trip down Forrest Drive for an amazing culinary experience. They make everything to order and with a wide menu to choose from all day long, it will make the short drive worthwhile. You can grab a beer with your burger as well, so even though it is fast, they still offer options like a more formal restaurant. They offer classic burgers plus modern interpretations of them. Boz’s is a classic spot in Baltimore, in part, because they have excellent food and an extensive menu. When it comes to burger options, you have a lot to choose from. Try the hoisin chicken burger, three-cheese fondue burger, or Chicago burger for something unique and tasty. Now this is a unique burger experience. The Manor Tavern has been in Maryland’s horse country since 1750. It was a happening place then, and still is today. Locals come here, affectionately referring to it as the “Tavern” and enjoy incredible cuisine made using locally sourced ingredients. That’s what makes their burgers so special. Everything from the meat to the vegetables and cheese has been grown right here at home and the flavors are outstanding. Plus, you cannot compare the environment to anywhere else you can grab a burger. It is simply too charming and wonderful.